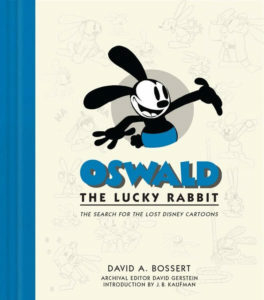 Oswald the Lucky Rabbit: The Search for the Lost Disney Cartoons by David Bossert is a great reference book for anyone interested in learning about Oswald’s Disney Years & Releases and the modern day quest to find all the original Disney shorts. Oswald the Lucky Rabbit played a pivotal role in the history of the Disney animation. Disney created and released twenty-six Oswald cartoon shorts over a two year span (1927-28). These were released after the Alice Comedies and before the Mickey Mouse shorts. 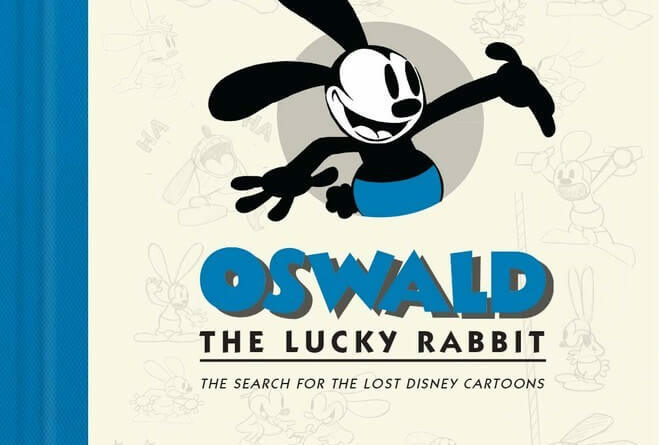 The rights to Oswald were not owned by Disney and after the contract expired Disney lost the character, films, and most of the animation staff even. 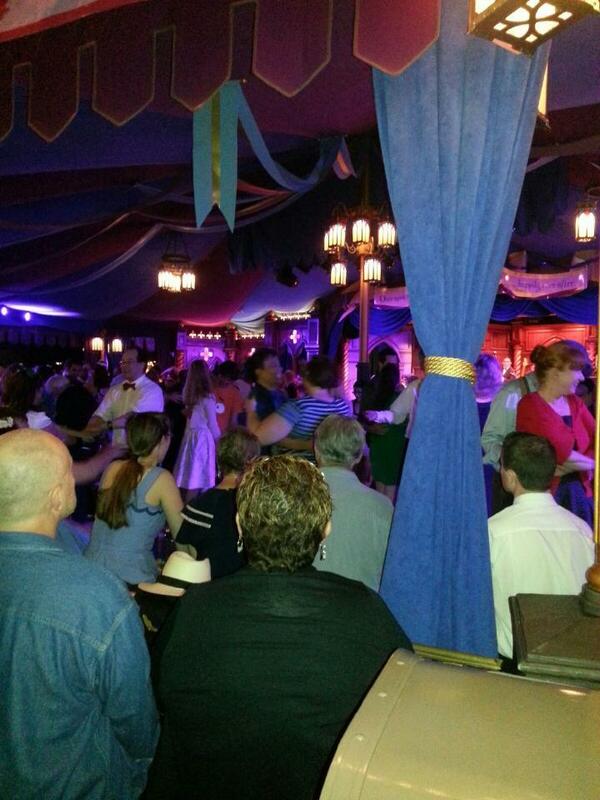 Over the years more than 150 Oswald shorts were produced and released by Universal. The lessons learned from Oswald, both in terms of animation and business laid the foundation for how Disney operated in the future. In 2006 the rights to the Disney Oswald shorts were re-acquired by the Walt Disney Company as part of a deal that let Al Michael move to NBC. Oswald was not a well preserved character by Universal over the years and there was very little original Disney content remaining when Disney reacquired him. Dave Bossert is leading a team within the Company trying to locate and restore these “lost” films from other archives and collections. They have had some early success and a majority are now found and digitally preserved. There still are several they are in search of as well as segments for a couple they did find. In this detailed reference book you will find the overall history of Oswald including his origins and the story of how he left Disney and returned. The vast majority of the book is an in depth description of each of the film including the plot, scene, restoration and other information. Throughout the book you will find pencil sketches and other artwork from the shorts. I really enjoyed reading this book and learning more about Oswald’s Disney history. I have always found the Oswald story interesting and this is the most complete history I have read. Learning about the the search and restoration processes were highlights for me as it is something I had not read a lot about before. If you are an Oswald fan you will really enjoy reading the very detailed descriptions about each of the twenty-six Disney short that were made as well as an accounting of the current status of the film. This book would make a great addition to any student or fan of animation history.